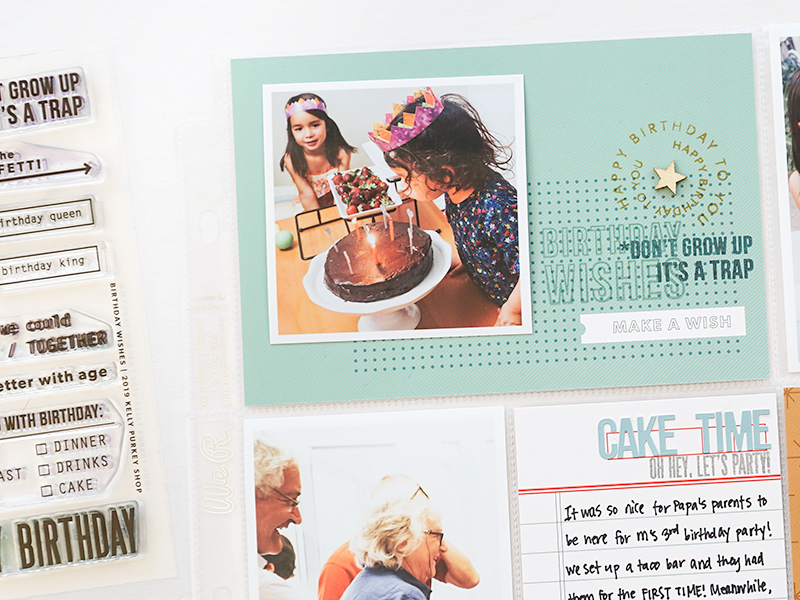 I'm joining the Kelly Purkey Creative Team this year and am so excited to show you one of the projects I made with this month's release. The January release is a pretty full one and both main kits are gorgeous! 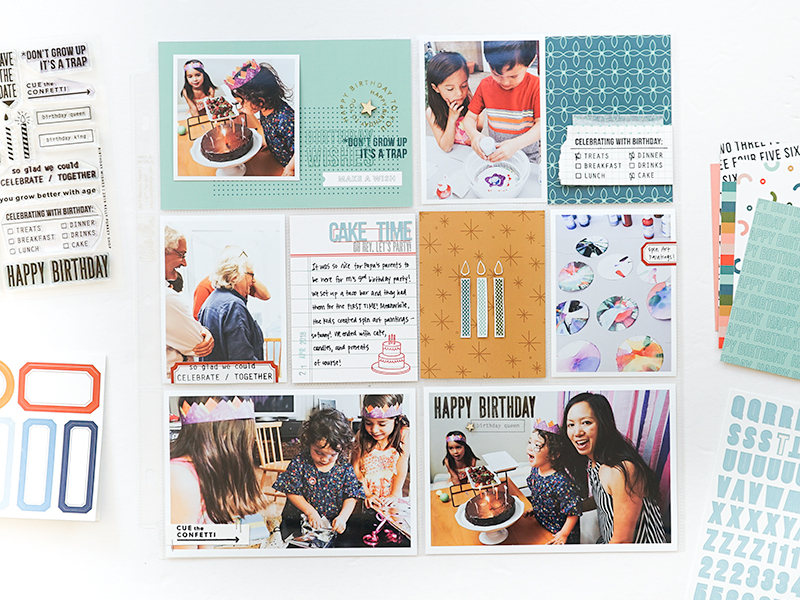 The main kit, called Birthday Wishes, was perfect for creating a spread about my daughter's third birthday party. We celebrate birthdays A LOT in my family so this kit will get used up pretty easily. 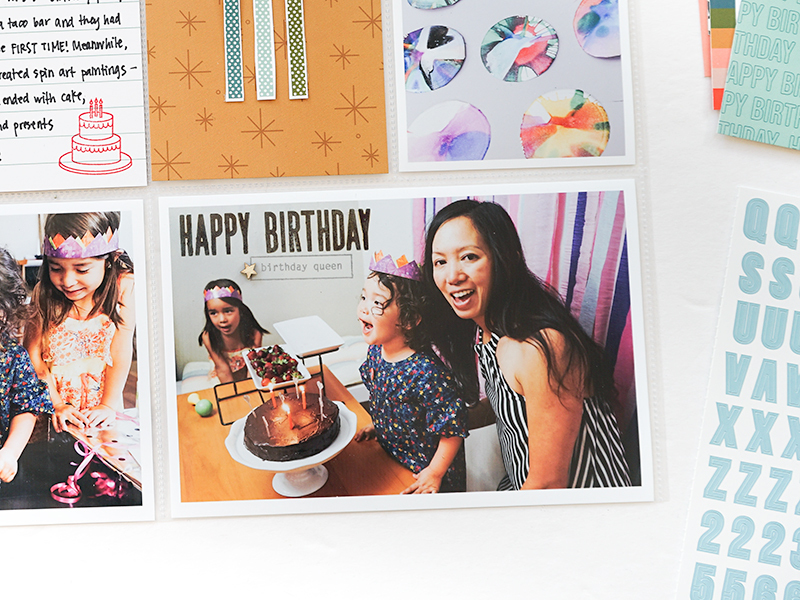 Once I selected and printed out the photos from this day, I chose some of the cards from the kit that coordinated. I love the bright and cheery colors! I used almost all of the sentiments on the stamp set to embellish the pages. I like to layer stamps together and did this on both one of the cards and a photo. 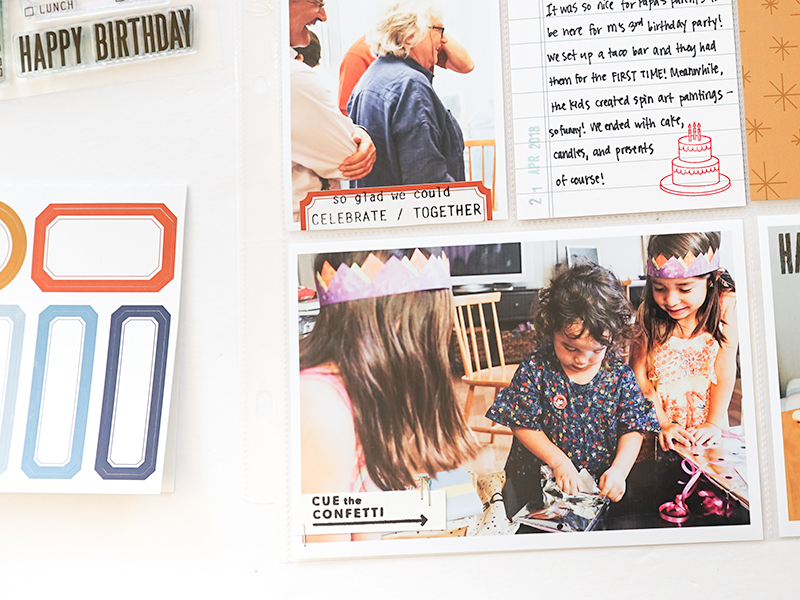 The kit also includes a full sheet of coordinating labels, which I used to add bits of journaling on the photos. By using mostly stamps on the cards and photos, I didn't feel like I needed any additional embellishments. I added a couple of wooden stars from my stash and called it done!